"The way I was raised, in blues music, you acknowledge the people that inspired you. It’s like; you owe that to these people, so I never shy away from admitting that, I mean, it’s the story of my life." 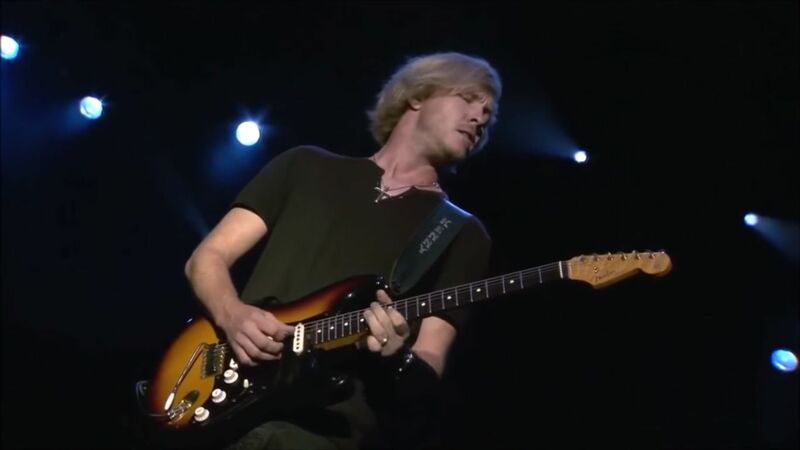 With new album ‘Lay It On Down’ just released in his native USA, blues supremo Kenny Wayne Shepherd is gearing up for some serious activity over the coming months. 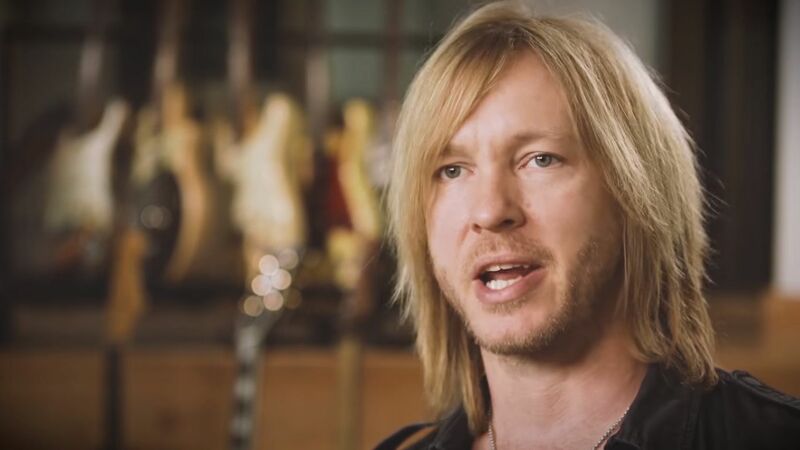 That doesn’t mean he’s not looking ahead however; with album number nine already on his mind as well as work with Stephen Stills in The Rides occupying space in his already full-on schedule. Talking to eonmusic at Ramblin’ Man Festival, you get the feeling he wouldn’t want it any other way. We sat down with Kenny for a chat about his beginnings, evolution, and work ethic. Déjà voodoo; Eamon O’Neill. ​Hi Kenny, how are you today? I’m great, thanks. It’s great to be here. What’s it like to be playing at Ramblin’ Man Fair? Well, I’m excited about it. It’s our first actual music festival in the UK, and I think it’s a really good one. There’s lots of good bands, and there’s several stages. Assuming the weather cooperates enough, it’ll be great. We’re going to be inside of a tent, so I think we’re okay. Are you looking forward to showing the Ramblin’ Man crowd what the blues sounds like? Well, yeah, showing them what our blues sounds like. You’ve had quite a long career for someone who is still quite young; you’ve been around for what, twenty years or more? A little more than that, yeah. The first time I played over here, I was on tour with The Eagles in 1996, and I’m sure there may be some people here tonight who saw that. I’m very fortunate to be twenty, or twenty-five years into my career and still doing it. A lot of people don’t get that opportunity. You were part of a new wave of blues guitarists when you first came on the scene. That was just the music that I love. I’ve just always played the music that I loved, and thankfully, people responded to it. Any time we get to play in front of anybody, it’s a great day. We’re still spreading the word and accumulating fans and growing the fan base. For you, it’s all about the guitar; is the Fender Stratocaster integral to what you do? Yeah, it’s a huge part of what I do, but I’ve been known to play other things. I have some great Gibson guitars that I play as well; a cool Firebird and some Les Pauls that I really love. But a lot of my heroes played Strats; Eric Clapton, Jimi Hendrix and Stevie Ray Vaughan, and so I gravitated towards that guitar. Early on in your career you opened for Van Halen; what was it like to be on the road with those guys? It was great. We did it in the 90s when Gary Cherone was singing in Van Halen. That was fun, and Eddie and I became really good friends then. That’s why we ended doing it two years ago with those guys as well, with David Lee Roth. It’s great, it works very well; guitar-centric bands, you know? It’s just different styles, but the crowd responded really well to it, both times. What is it like to be backstage in Van Halen’s world? Well it’s great, but like I said, I’ve known Eddie since the 90s; we’re friends. I could literally pick up the phone and call him right now. But they treated us really well, and if he asked me to do anything, I would do it. Going back, and it’s because of your grandmother that you’re standing on the stage today. I was four when she got me my first guitar. Then I got my first electric guitar at age seven after meeting Stevie Ray Vaughan for the first time. My life changed at the point. I just got real serious about playing guitar, and I wanted to learn how to affect people with music. Stevie really put his soul into the instrument, didn’t he? Oh yeah. I mean, the last time I saw him, he signed my guitar, and he wrote a message on there saying; “Kenny, just play it with all your heart”, and that’s what I try and do every single night. Have you been to see the Stevie Ray Vaughan statue in Austin, Texas? I actually haven’t been to see that statue. I’ve seen plenty of photos of it though, but I haven’t been to it myself. I’ve been to his grave though. Would you say he’s been a direct influence on you? Absolutely, and I don’t deny that. There’s a lot of guys out there that were all influenced by Stevie Ray Vaughan, and they’re all too scared to actually come out and say that because, for a long time, anybody who would say something like that immediately got labelled as like a SRV wannabe. People got so scared of that, that nobody will admit that he was an influence on them. I mean, if it wasn’t for him, I don’t know that I would have had the motivation to become who I am, so I’m never going to deny the impact he had on my life; I’d be doing him a disservice. The way I was raised, in blues music, you acknowledge the people that inspired you. B.B. King always talked about T-Bone Walker, Stevie talked about Albert King and Jimi Hendrix, Eric Clapton always talked about Muddy Waters and all these guys; it’s like, you owe that to these people. So I never shy away from admitting that he had big influence, I mean, it’s the story of my life. In the same way, you must get a lot of guitar players coming to your gigs; do you notice them watching your fingers closely? Did you ever do that yourself? Not really. I was always just trying to look at people that I admired and try and figure out how they did what they do. Your father was well placed for you to get to meet a lot of your heroes. He was on the radio, so he was a disc jockey, general manager of radio stations, and he was a concert promoter as well. James Brown and my dad were like this [*crosses fingers*], so I was hanging out with him. Also Aerosmith, ZZ Top's Billy Gibbons, Stevie Ray Vaughan; I met all these amazing people throughout my whole childhood. I met every band that came through town. What’s coming up next for you; is it more touring? The album came out here 21st July, and it comes out in the States on August 4th, so we’re going to tour the States August and September, and then we’re coming back here in October to the UK for like, a week or two. Then we’re going to go back to the States, and come back here again, I think, in the spring and summer of next year. We’re just going to hit the road for the next year / year and a half. So you’re just at the beginning of this album cycle. We are, but at the same time, I’m already going to start working on another album with my band, and another album with my other band with Stephen Stills. I’m going to be very busy, but yeah, it’s good. Do you still get a kick out of bringing out new material? That’s the eighth studio record, and it’s always fun to have new material to do. Depending on the set, we play between three to five of the new songs, and then everything else is just some of our favourites off our previous albums. And what about cover songs in your set? ‘Voodoo Chile’, we always do that, and we do this B.B. King song from the last album; ‘Baby, You Done Lost Your Good Thing Now’. We may do ‘King V’ as well. 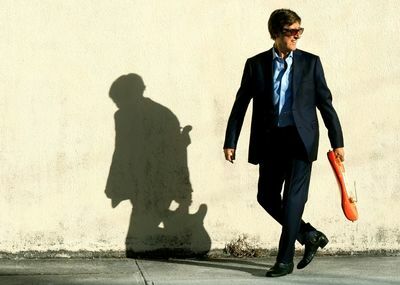 EXCLUSIVE: Hank Marvin On Shadows, Stratocasters & Success. 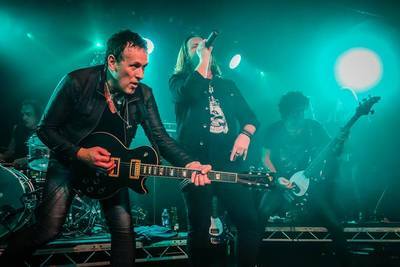 INTERVIEW: Vivian Campbell Talks The Road To Last In Line Via Dio. 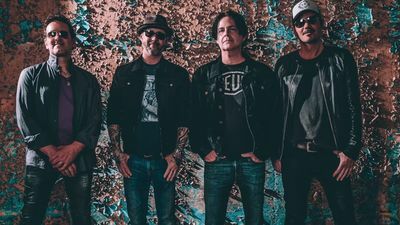 Rob Lamothe Chats About Riverdogs' Return To 'California'.